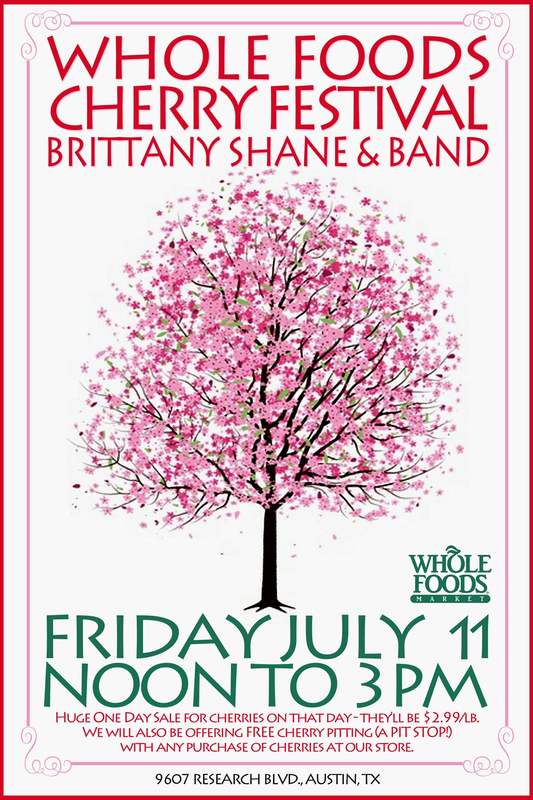 I’m playing the Whole Foods Gateway Cherry Festival this Friday, July 11th with the full band from 12noon-3pm. 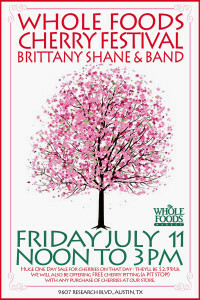 The address is 9607 Research Blvd., Austin, TX 78759 (next to REI and Nordstrom Rack). We’ll be playing outside! This entry was posted in news on July 8, 2014 by Brittany.